Hire period for equipment range from just 1 day to however long you require. We do not charge for the time it takes to ship the equipment to and from your premises. For a comprehensive quote tailored to your traffic survey needs, please contact us and we will be happy to provide you with a written firm quotation. This is an event logging device storing up to 1 million records of raw data and enabling creation of custom traffic survey reports. This is a simple tube based counter displaying the number of vehicles passing by in real time. The internal lithium batter has a 5 year life. Portable speed radar gun used for speed surveys. These are manual 4-digit counters and tally boards which can be used to count traffic flows, or perform intersection counts. Alternatively, if you do not have access to the necessary technical know-how or software to install or analyse automatic tube counts (ATC's), TCS For Surveys can provide this traffic survey service for you. 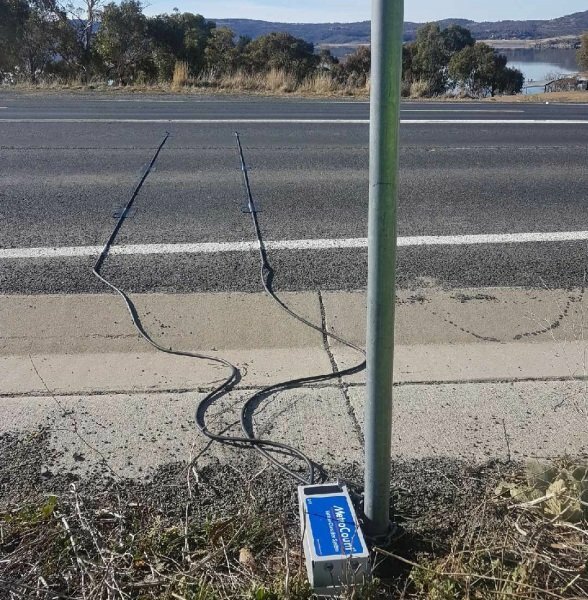 Our specialised traffic survey team will install and maintain traffic counting loggers at your desired traffic survey location and provide you with a report on classification, speed and volume as per your traffic survey requirements. More information on pneumatic ATC traffic surveys can be found here. If you are in a remote location, TCS For Surveys can help you out with your traffic survey needs. We have a customised hire service for our remote clients that overcomes the issues normally connected with high travel costs associated with remote traffic survey counts. Please contact us for more information. Terms and conditions for hiring equipment are subject to the hirer accepting TCS for Surveys' Hire Contract Conditions, found here.